Netflix has been hinting at new episodes of Black Mirror for a while, and the streaming service is posting more teasers for a brand-new season. 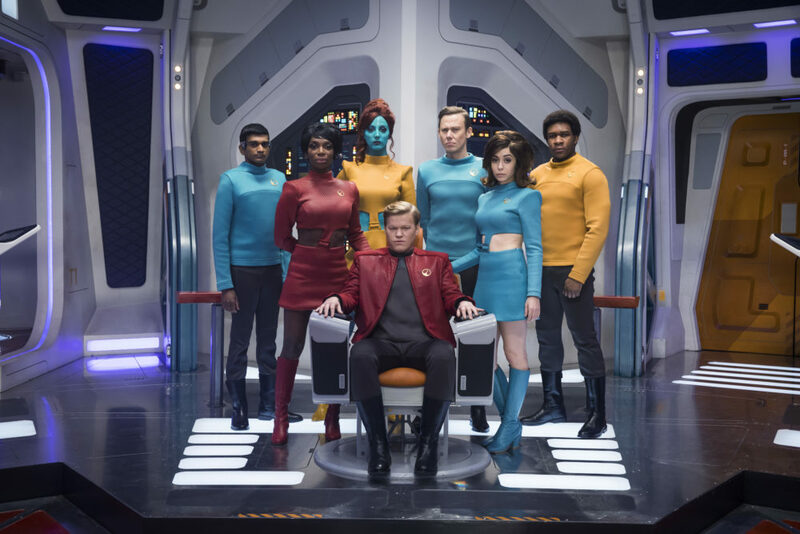 The latest Black Mirror teaser looks like a Star Trek spoof and OMG, it is so out of this world. The Star Trek-esque episode of Black Mirror is boldly going where no Netflix series has gone before. The episode is titled “U.S.S. Callister,” and it’s set in space! One more time for good measure: A space episode of Black Mirror!! Also exciting, it stars actors Cristin Milioti (the *mother* from How I Met Your Mother) and Jesse Plemons (aka Landry from Friday Night Lights). It’s so bright! And colorful! It looks wacky AF. And funny! And we’re definitely Googling how to get Milioti’s ’60s hairstyle ASAP. But oh, no. All this is definitely a trap. This new teaser seems more positive and upbeat than previous teasers and episodes. And that’s enough to make us worry. Black Mirror basically exists to make us all flip out over how technology is going to destroy us. Every episode is brilliant, but also like a worst-case-scenario Twilight Zone. Oh, if Rod Serling could see television now. ANYWAY, the cheerful nature of the “U.S.S. Callister” teaser is enough to put us on edge. They’ve got to be hiding something sinister there, right? They wouldn’t just let us have a Star Trek parody without at least trying to keep us up at night. The new season of Black Mirror supposedly debuts on Netflix this year, so you’ll want to catch up on your sleep ASAP.